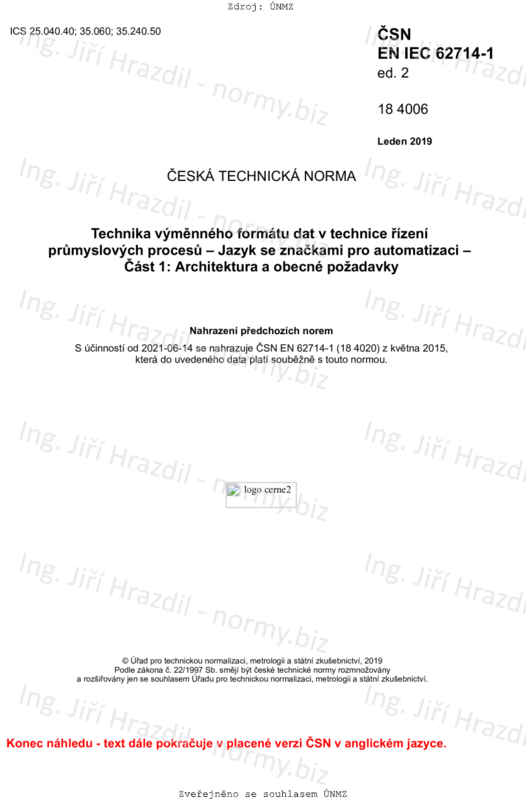 This part of IEC 62714 specifies general requirements and the architecture of automation markup language (AML) for the modelling of engineering information, which is exchanged between engineering tools for industrial automation and control systems. Its provisions apply to the export/import applications of related tools. This part of IEC 62714 does not define details of the data exchange procedure or implementation requirements for the import/export tools.